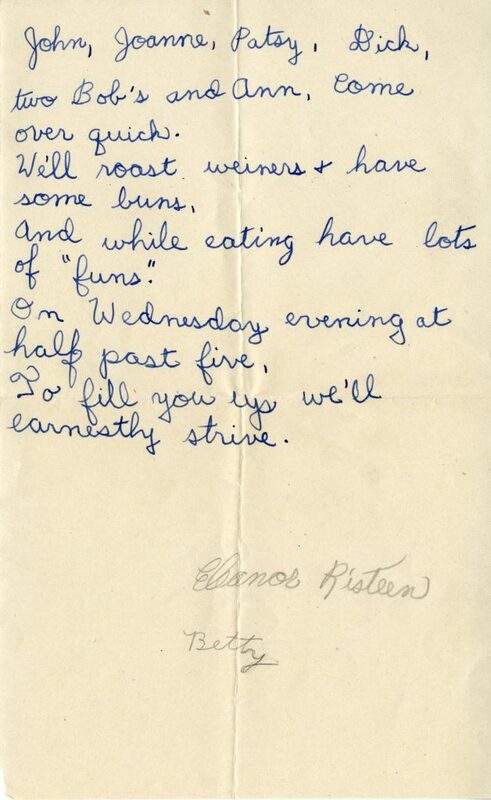 I recently pulled some materials for a food ways class visit and I stumbled across a fascinating woman whose papers we have in our collection. While retrieving copies of World War II food stamps from her file, I was introduced to Dr. Eleanor Risteen Gordon. Dr. Gordon was born in Wisconsin in 1935, and grew up during the war years. 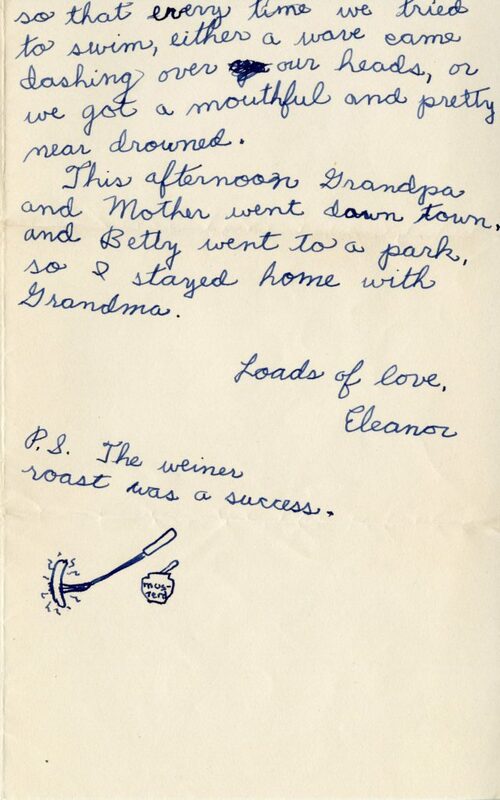 Her surviving childhood letters in the collection little reflect this difficult time, but they do reveal a youthful appreciation for hot dogs, as well as a humorous hint at her later profession. 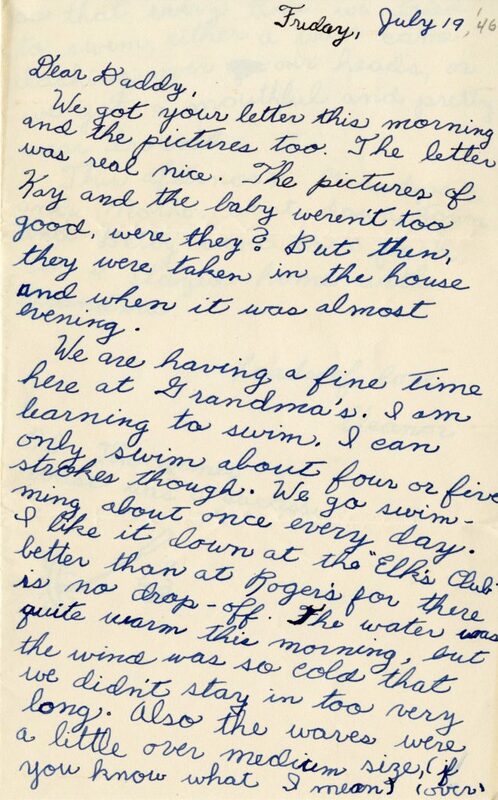 As I delved into Dr. Gordon’s papers, I quickly learned she loved words and language, and used them to communicate in unique and thought-provoking ways. She earned her Ph.D. from the University of Illinois Chicago, and taught rhetoric and composition. 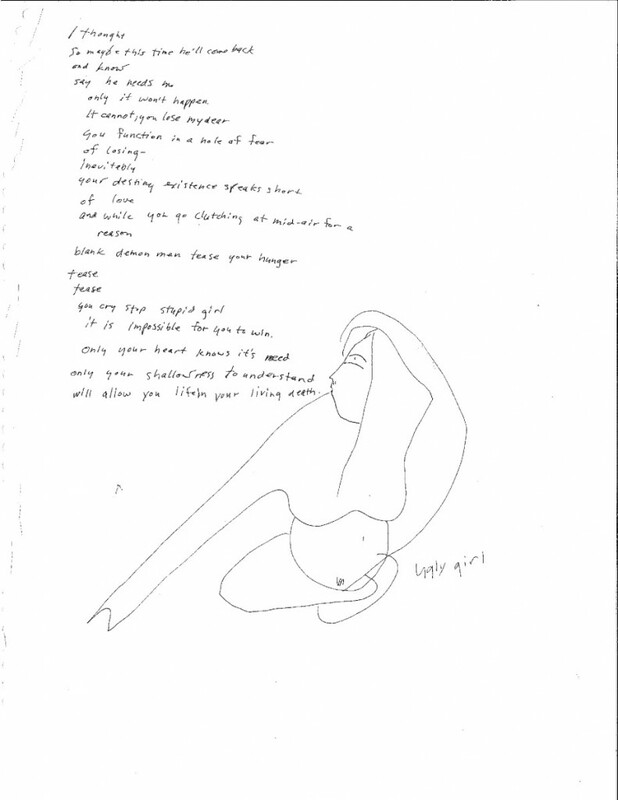 In addition, she published poetry that touched on nature, art, and everyday life with sensitivity, realism, and humor. 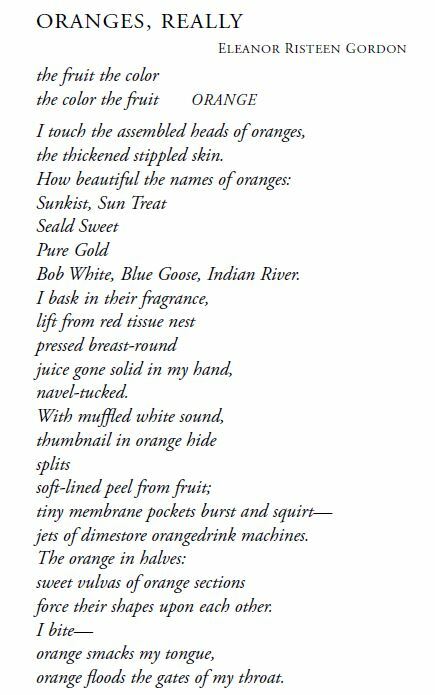 In this sample of her poetry, she describes a seemly mundane action, eating an orange, with an infusion of passion and sensory language. It seems the wordsmithing apple didn’t fall far from the tree with Dr. Gordon; her father was a renowned crossword puzzle creator, who published regularly to the New York Times. I can only imagine the level of competition on family Scrabble nights! 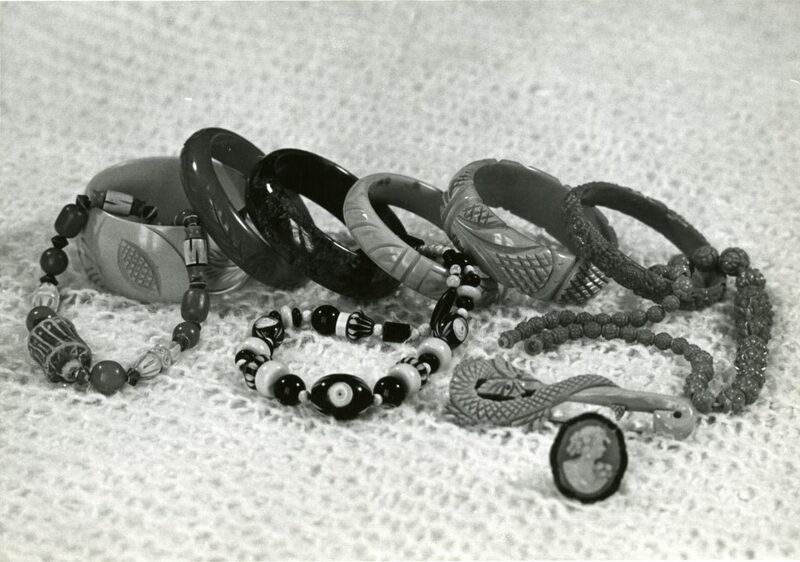 A photo of a collection of vintage and modern plastic jewelry Dr. Gordon took for use in one of her articles. At first glance, it may seem like Dr. Gordon’s interests were pretty eclectic. I think however that they reflect a woman with a witty and playful personality who thought deeply about the culture around her. Her body of work suggests to me that Dr. Gordon wanted to call attention to the beauty in everyday life, and show that the mundane could be celebrated. Eleanor Gordon and Jean Nerenberg, “Everywoman’s Jewelry: Early Plastics and Equality in Fashion,” The Journal of Popular Culture 13 (1980): 643. 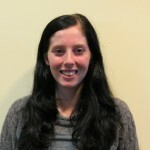 Kate is a Graduate Assistant at the WLA and in the first year of her M.A. in Public History at Loyola University Chicago. A Colorado gal, she enjoys classic films, bike riding, and all things museums. The world of archiving, before I came to volunteer at the WLA, was a field that was completely foreign to me. 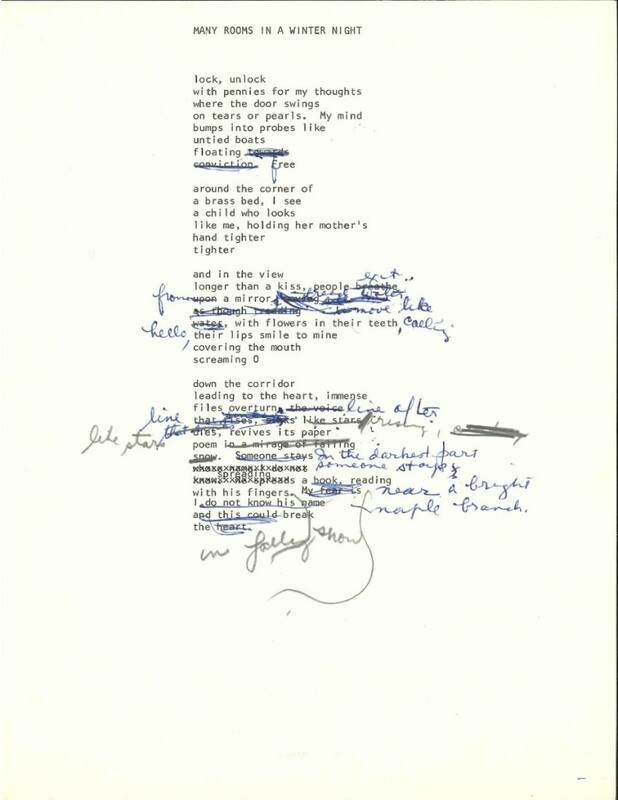 I am a graduate student in poetry, and although there is a certain appreciation and study of the past that come natural in writing and studying poetry, I had never thought about where, why, or what we might keep papers and artifacts in safekeeping. In fact, I have virtually no background in archiving or even public history. I had decided to become a volunteer because of my general enthusiasm for women’s history and leadership that had been cultivated from my experience of completing my undergraduate degree at an all-women’s college. I had trust that whatever I gained from exposing myself to the archiving environment would provide me with a different vantage point from which to view not only my writing, but the context of my field of study in general. Entrance into a discipline that you are completely unfamiliar with can be, to be honest, a little unsettling (especially to your ego). While my tasks have mainly revolved around writing up content for the website and helping with social media posts, I soon found that there were still many opportunities to interact with the materials of the archives themselves. Knowledge that is taken for granted by any student who has taken a simple public history course was information that I had to be instructed in. But I was unsettled not by just my lack of foundational knowledge, but also by my lack of understanding of the true nature and goals of an archive. 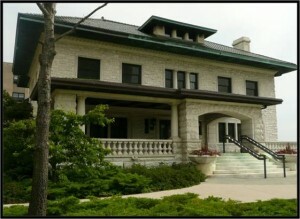 The WLA is located on the 3rd floor of Piper Hall. 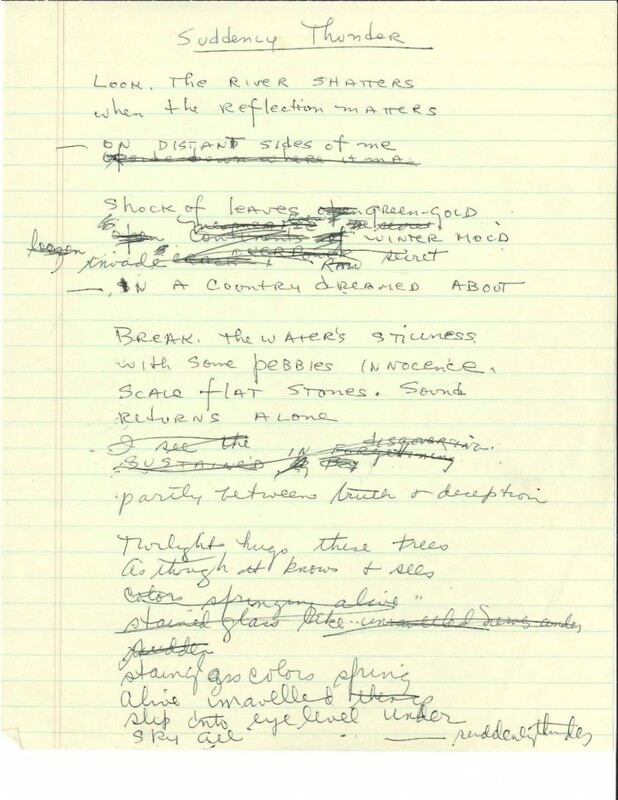 Approaching as a poet, my first instinct when I come across an old photo or document is to think: How cool! How can I interpret this and what kind of emotions/ideas does it evoke that makes it relevant? Thinking as an archivist, however, urges me to think beyond my immediate instincts. What is the document’s context? What is the story of the people involved in it? How/why did it survive? There are always connections and stories present even in the least conspicuous of records. The world has been constructed almost entirely by unsung heroes, but the information surrounding them and their stories are in existence, and still able to speak to us—as well as advise us. In this way, the archives hold a sort of tangible relevance that is nearly unique to the field. Here you can hold not just the documentation of history, but the actual cogs and gears, so to speak, which make up the working totality of the present. I understand that may sound a bit dramatic, but it’s very true. My main appreciation for the field has been at how dedicated one must be to making these things available for public discovery and research at the same time as preserving them as best as it is possible. There is definitely a search for deeper understandings of the present (which really can be called an understanding of reality) present in archiving, but more impressively, there is the effort to make this understanding public and influential in the making of the future. In thinking about relevance to my personal field of study, I see mirrored desires. Poets like to think they are trying for a deeper understanding of reality that is relevant to the past, present and future. In fact, ideally, I think the point is to share that understanding with others. However, in my experience, this is where the poet usually fails. They tend to be lofty or cryptic (I mean this as endearingly as possible), often aiming their understanding to be shared with a distinct circle of peers. In this respect, my vision for my own studies has been altered. Those in the archiving field have the sole knowledge and practice to preserve and decode artifacts; however the goal of their work is not to explore this knowledge for themselves, but to make its relevancy clear to the public and those in all sorts of fields of study. My time volunteering here in the archives has not only given me insight into a different way at looking public history, but it has also made the importance of their goals very clear to me. I would love to see my field of study put the same amount of effort into sharing the understanding that has been cultivated with a much wider audience. 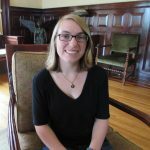 Brittany Tomaselli is a Poetry MFA candidate at Columbia College Chicago where she works as a graduate instructor of Writing and Rhetoric. In 2013-2014, she volunteered at the Women and Leadership Archives, Loyola University Chicago.